Dennis began his working life as a rural studies teacher and sports coach. He was a Duke of Edinburgh Award assessor, running courses at local youth clubs, and was Chairman of the Yorkshire Schools Athletic Association. He started two rugby clubs at both his schools which are still very successfully in existence today, both now have there own club houses which Dennis was invited to open. He ran many school camps taking 100’s of pupils away each summer. He started keeping rabbits at the schools where he taught and joined the rabbit fancy in 1969 after buying his first orange rex from Pat and Eric Gaskin. He started the famous Clay Cross Fanciers and at first ran the shows from his Tupton Hall School – despite the headmasters disapproval! When it moved to the Clay Cross Leisure Centre it became the largest one day show on the rabbit show calendar. He started the ‘Fawn Festival’ which he ran from his home in Cutthorpe, Derbyshire, where fanciers came and camped out for days and drank the local pub dry! When he moved to Ewerby he took over the Sleaford rabbit Club on the death of it’s secretary. He ran it for 18 years feeding everyone on his ‘road kill’ stews! 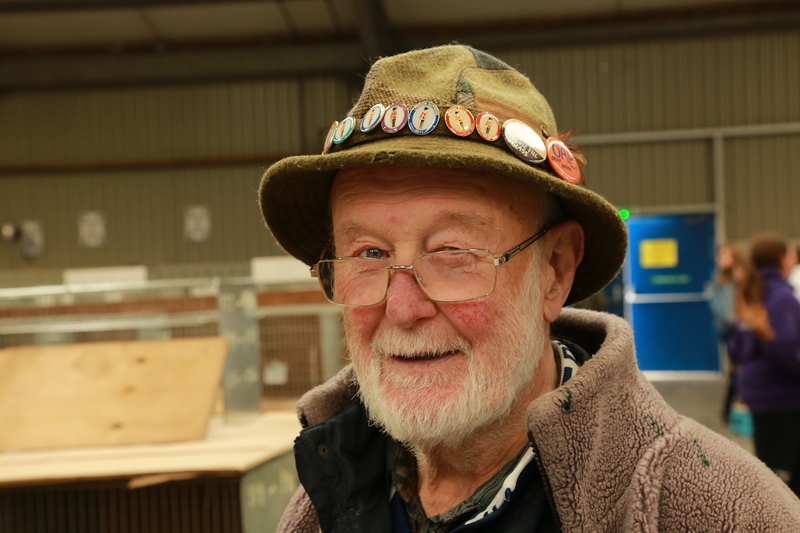 In 2000 he started the Lincolnshire Championship Show at the Mere’s Centre Grantham. As it grew like Topsy, it ended up at the Newark Showground and became the largest one day show in the country. He was a longtime member of the BRC, he served on the management committee, was secretary and chairman of several breed clubs, was on the breed standards committee and of course was President of the BRC in 2003 and 2008. He was a very determined man, great at getting things started and would clamber over hurdles rather than go around them to get the job done. Very non PC! 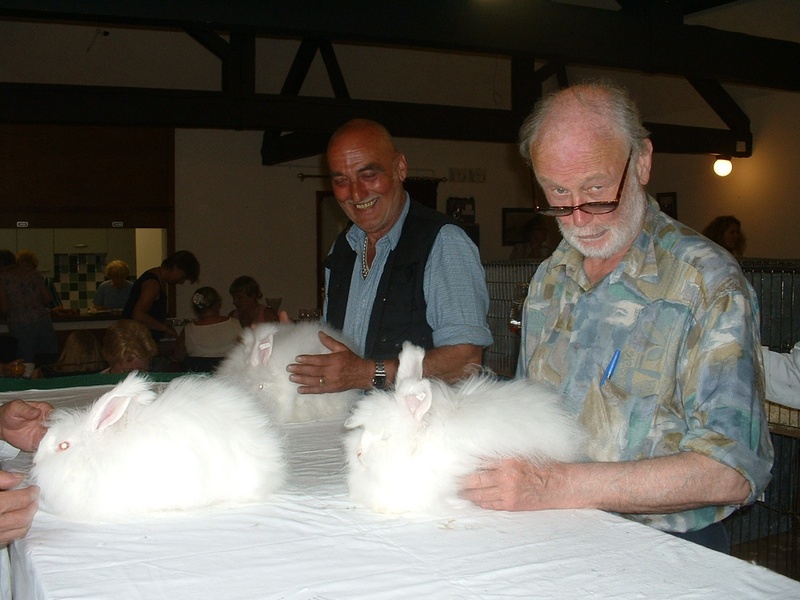 When our angora club hit a sticky patch some years ago, as our Chairman he called us together and got us organised by using his innate and unbiased sense of fairness. He just enjoyed the company of fellow fanciers – especially with a pint in his hand!